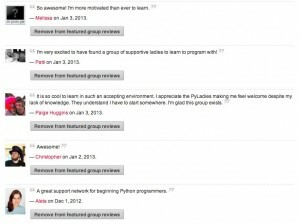 PyLadies is a group of women working on welcoming, encouraging and directly inviting women to join the Python community and to learn from each other. 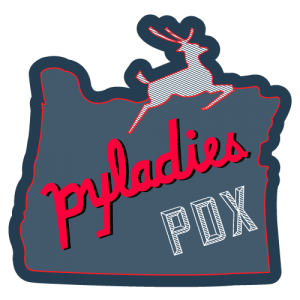 I started a PyLadies chapter in Portland, OR last September (2012). We started out with weekly meetings to do homework from a Coursera class to make games with Python. That turned into weekly meetings – plus homework meetups on Saturdays at a local coffee shop, and IRC hangout time to test homework. And that turned into me giving mini-lessons at each Coursera meetup about the material from the class. People seemed really excited. 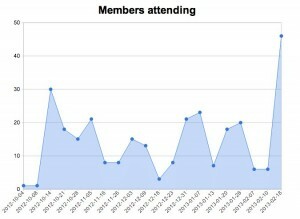 Before we knew it, it was December, we had over 60 women subscribed to the Meetup, 30 of which had attended a meeting. Today, we’ve got 85 subscribers, 50 people have attended a meeting, and more have signed up to attend events in the future than ever before. And, it’s done by women. Using open source. Teaching classes. Learning developer tools. And writing software. Since September, I’ve met even more women involved in running PyLadies chapters across the country. Much like the way the PostgreSQL community is organized, we’ve got a loosely connected group of people working independently. We offer support to each other, but don’t have hard and fast rules about what each chapter does. We encourage teaching and workshops, but don’t require them. We share our resources and are quick to put git repos out there of our materials. We send lots of pull requests. And we’re constantly looking for ways for women to get more involved in open source and Python. I’m completely energized by the positive feedback we’ve gotten for every meeting. More recently, I’ve heard from people that they feel confident and sure of their knowledge because they’ve spent time in our meetups talking and learning from other women. My goal is to make every get together like that - by having great lessons, a shared understanding of coaching and peer-based education and presentations from our members. Building these groups takes time, and I’m impatient to get to the part where I feel like every interaction with the group is rewarding for every member. And I can’t do it alone. We’ve got four meetup organizers (although one is about to relocate to the Bay Area!). I work closely with Flora Worley, a kickass developer who chose programming as a career path after working on a PhD, on topic details and planning for the meetings. I’m so looking forward to meeting in person with the many members of the PyLadies community at PyCon next month. This post was originally posted on Selena Deckleman’s blog and reposted with her permission. Thanks Selena!